How to change Node status ? 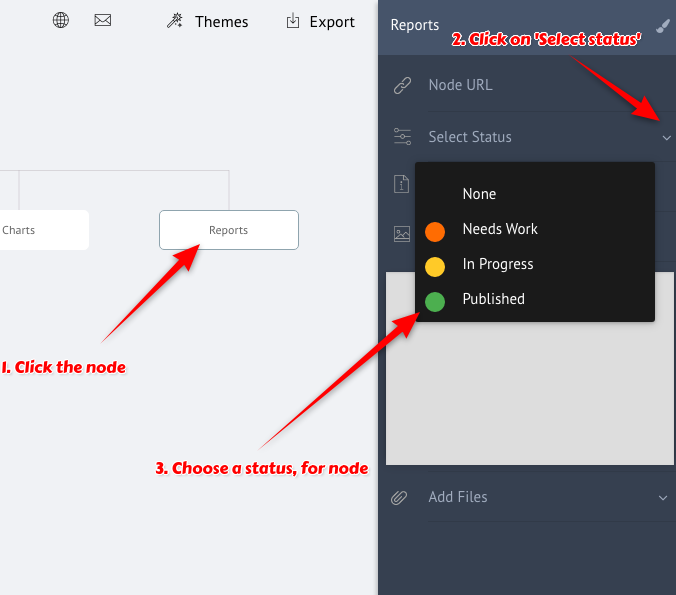 Node status allows to quickly denote the status of a page in the SiteMap. This helps developers to communicate with designers in a visual way. There are 4 node status provided as shown below.